Featuring classy all-live vocals, stunning costumes, dynamic choreography and a good helping of humour and audience participation. 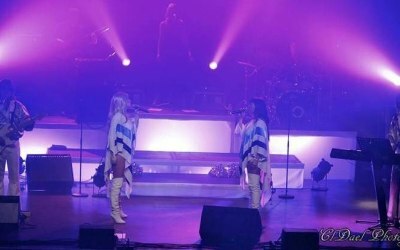 Abba Inferno bring a top quality PA and lights with front-of-house engineer and will have the audience on the dance floor from the first strains of Waterloo all the way through to the rousing finale of Thank You For The Music...! Get quotes from Abba Inferno and others within hours.